The final renewal day of this page is September 15, 2003. Figure2-1: 1. Oviposition of Cercion calamorum calamorum 2. The environment which Cercion calamorum calamorum inhabits Cercion calamorum calamorum inhabits a wide range in such cases as the pond, the lake ,the irrigation canal and the river of the slow flow. Figure2-2: Some eggs of Cercion calamorum calamorum in the plant. 1. A state outside the plant 2. A part on the surface of the plant was torn off. 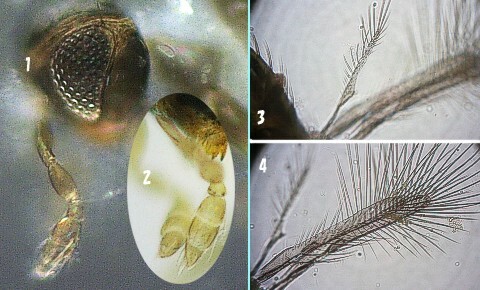 Figure2-5: Egg-parasitoids wasp of Cercion calamorum calamorum which lays eggs under water. The egg which can be seen in the plant is the egg of Ischnura senegalensis. 1st-inster larva which can be seen in the figure is Ischnura senegalensis. An arrow in the figure shows an ovipositor.